Its whitish sand, crystal-clear waters and sculpted rock formations make this beach heaven on earth. 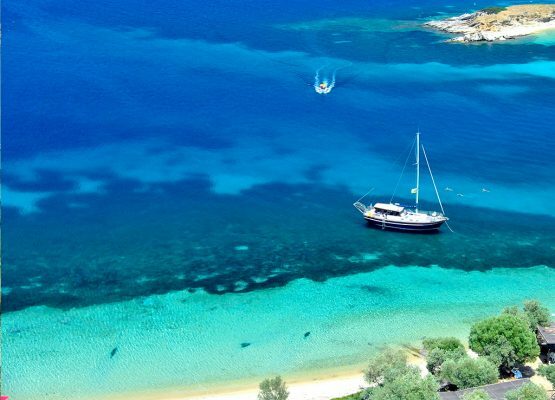 The most beautiful, famous, most photographed beach of Ammouliani and of the entire Mount Athos Area! 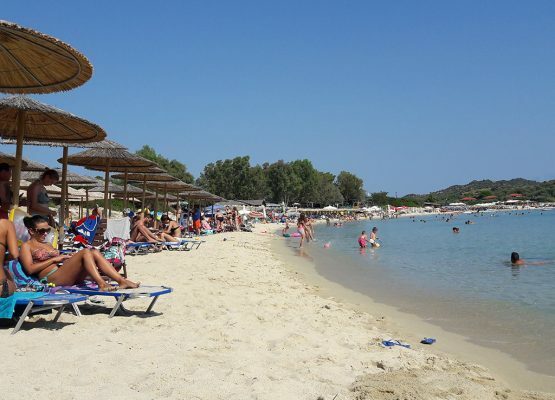 A sandy organised beach on the namesake islet in the “tail” of Ammouliani. 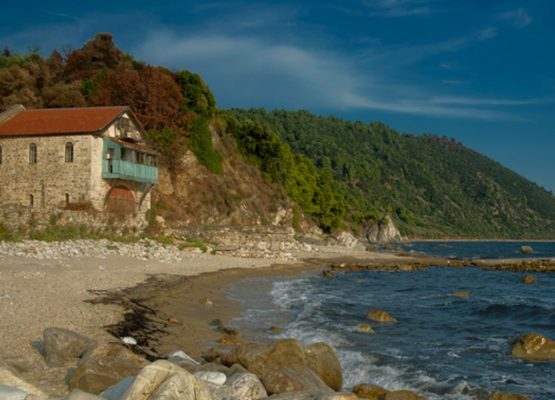 Just at the borders of Mount Athos, where the old naval station of the Chromitsa Monastery separates the Holy Community from the rest of the region, lies the beach of Arsanas, famous for its white pebbles and an amazing view of Athos. 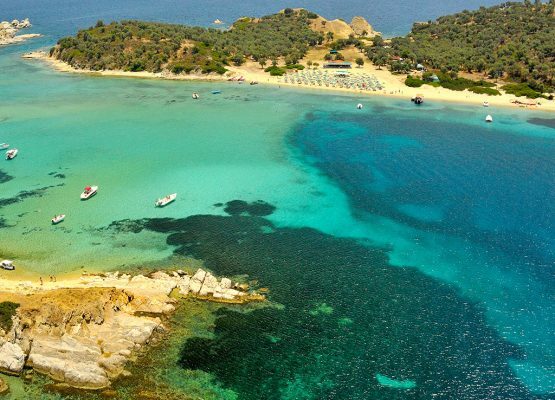 A huge shore, a vast sea embrace, starts from the area of the harbour of Trypiti and ends at the village of Ouranoupoli. On the top of the Mount Athos peninsula and at a distance of 120 km away from the airport of Thessaloniki lies Ouranoupoli, the Gate of Mount Athos. 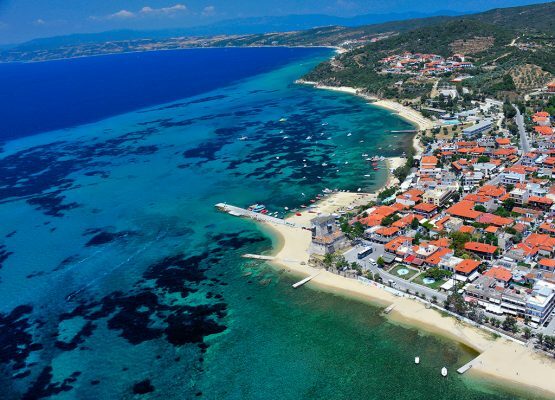 Ouranoupoli is a divine landscape, combining mountainous and sea beauties, promising unforgettable holidays. Read more information about Mount Athos Monastries and Skites.